"Put away the wiggles. Put away the giggles. Listening works better when your body's calm and still." When it's time for young children to listen closely, this bilingual board book sets the tone. They discover that it's important to open their eyes and ears but to close their mouths ("zip it, lock it, put it in your pocket") so good listening can begin. 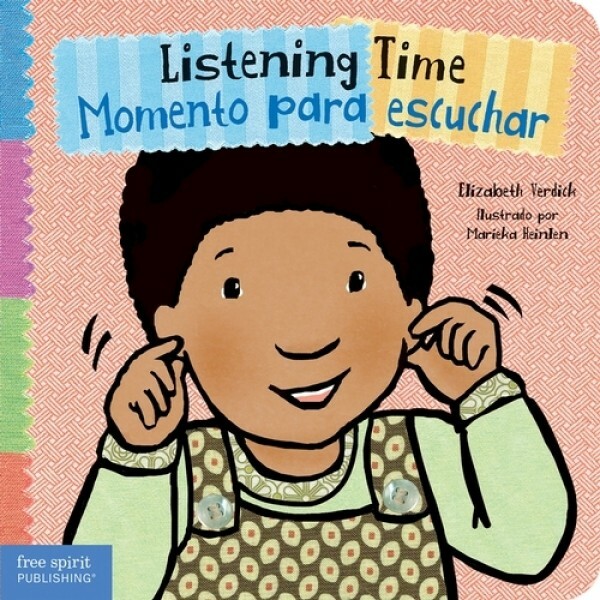 This bilingual Spanish-English book from the Toddler Tools series is a great way to teach kids polite and effective listening behavior.